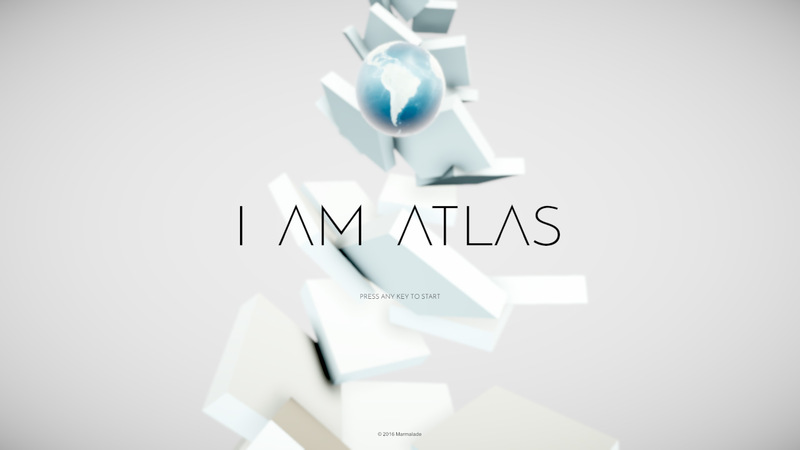 I Am Atlas is a meta-physical first person game in which the player must manipulate the environment to complete puzzles. In this game you will literally have the world at your disposal. It is up to you to use, misuse, and take advantage of our planet to traverse through a range of puzzles. Whatever you do to planet Earth will have consequences. Freeze it, smash it up, drown it; your interactions will affect your own environment, so use it wisely. I Am Atlas is a loose metaphor depicting how people manipulate, take advantage of, and take for granted vulnerable resources for their own personal gain or the pursuit of power. People will do almost anything to get what they desire, regardless of the consequences. 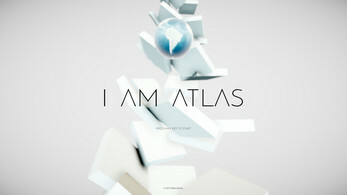 Atlas is known for having the burden of the world upon his shoulders. After growing in power through generations of evolution and a lack of a need to fight for their own survival, this burden no longer exists for Atlas' descendants, allowing for gross manipulation and abuse of the planet for personal gain. DirectX 11 is required and a high end GPU is recommended (GTX 770 or better) for the new real time global illumination effect we're testing out, which is unfortunately resource hungry. However, the game should still run on older hardware with dramatically reduced visual quality. Interesting, although I didn't completely understand the influence applied to the ball being reflected in the world. It seems to work with green light but not with darkness or of course shaking.